You are at:Home»Sections»Consumer electronics»Should you buy the new iPad Pro? Should you buy the new iPad Pro? The iPad has never undergone as dramatic a transformation as it has for the new iPad Pro, which completely rethinks not only the tablet’s form factor but how users interact with it on most levels. With the home button gone this is now an all-screen device in line with the iPhone, and Apple has used this makeover as a chance to refresh the accessories that support the iPad Pro too, with the Apple Pencil and Keyboard Folio having been updated too. The result is a package that visually has the iPad Pro looking like a replacement for your laptop, but is it up to the job? From the moment you pick up the new iPad it is quite clear Apple has nailed the redesign. The all-screen front panel looks just as good on the tablet as it does on the iPhone — the 12.9-inch version of the Pro is spacious but yet isn’t uncomfortable to hold. 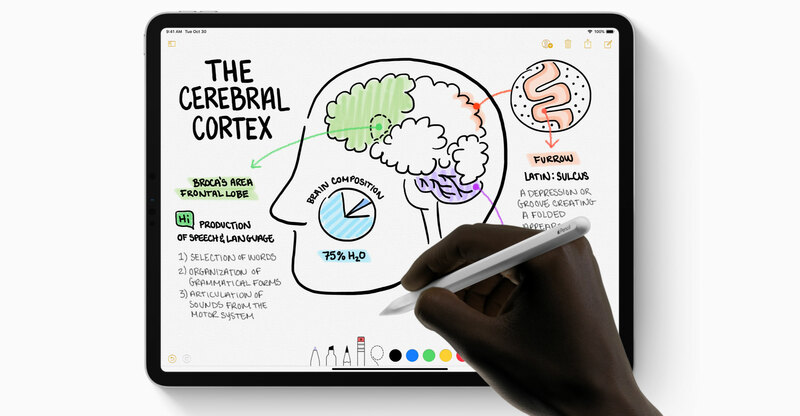 Crucially, Apple has listened to feedback on making the Apple Pencil less likely to be lost by adding a magnetic connector to the right side of the device, allowing users to stick the stylus to the side of their tablet for the first time. Previous Pencil users will rejoice at this, but users should still be prepared to fish around the bottom of their bag when attempting to lift the Pro out whips the Pencil from the side of the device. In order to accommodate this new connector, Apple has flattened the sides of the new Pro, meaning chassis looks and feels a little different to previous generations because it has more angled edges. Think of it as looking and feeling similar to an iPhone SE in the very best way. In short, the iPad has never looked better. At the heart of this iPad re-design is the new Liquid Retina display screen that dominates the front panel. It’s the same type of screen as on the iPhone Xr, and it’s bright and colourful no matter what is displayed on it. With the home button gone, it means Face ID is now the biometric method of choice for unlocking the iPad Pro. This means more swipe gestures for navigating the interface, too, but given the large amount of space to work in this isn’t a problem. Crucially, Face ID works when the device is in landscape mode as well as portrait, so no matter how you hold the iPad you can quickly use Face ID for unlock, log-in or payment confirmation purposes. Using Apple Pencil with the screen is still a very good experience, too — the Pencil is responsive and feels closer to using a real pen than ever. This is partly thanks to the ProMotion technology, which automatically adjusts the display refresh rate that keeps scrolling smooth if you’re using your finger to browse a Web page, or using the Apple Pencil to sketch something. 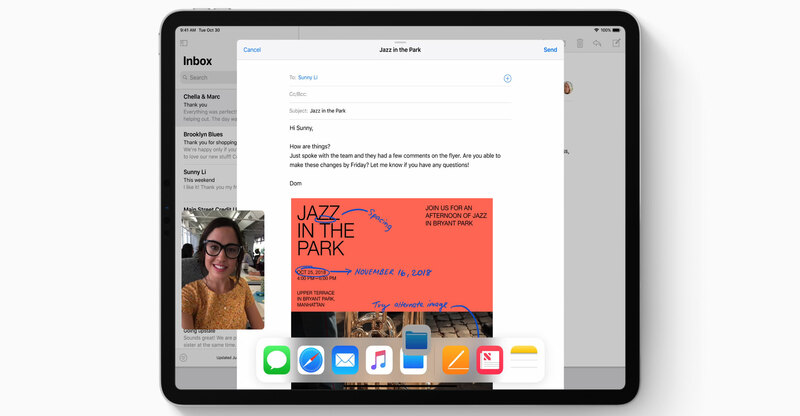 Elsewhere, tap to wake, which automatically opens a locked, idle iPad to a new note in the Notes app when the screen is tapped with the Pencil is also a handy productivity tool, and a great use of that big screen. In pure specification terms, Apple can rightly say the iPad Pro is capable of sitting alongside any laptop or notebook as a viable alternative. And in terms of display and general build quality that is absolutely true, but the iPad Pro still feels like a fantastic tablet, rather than a complete laptop replacement. Some of that feeling is derived from the software. The Pro runs iOS 12, the same as the iPhone, and while it is a powerful operating system, it still has its limitations and lacks the full versions of some key software programmes that many creative professionals — a key market for the iPad — can already get on a MacBook or elsewhere. In addition, the single USB-C is a welcome switch of ports on the iPad, but users still need an awful lot of extra dongles to truly open up a wide range of connectable devices. While now supporting two viewing angles, the Smart Keyboard Folio still isn’t quite as comfortable to use as the set-up of a notebook either, although it does score points for now coming with a rear cover to protect the rear panel of the iPad for the first time. There is plenty to love about the new iPad Pro — the redesign to an all-screen front panel has been a complete success, making it the best looking iPad Apple has ever made. 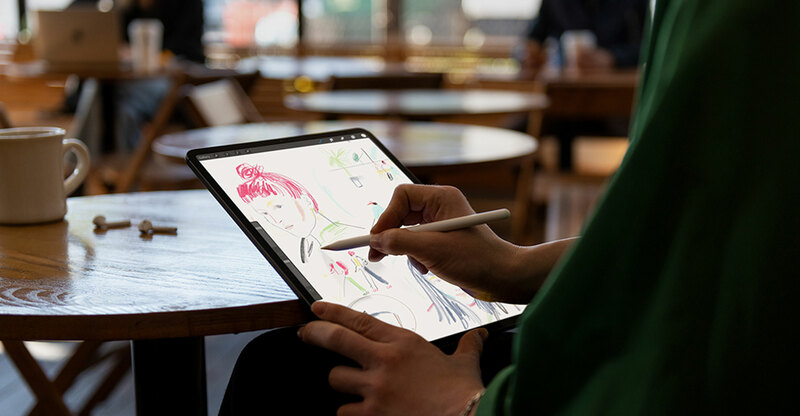 Face ID and the increased touch gestures used for navigation feel completely at home on the device, too, and the enhanced Apple Pencil, powerful A12X Bionic processor and bright screen make the Pro a brilliant place to be creative while remaining wireless and mobile. But this is the iPad Pro in a nutshell — a top-of-the-range tablet computer to be creative with, but lacking the software refinements to truly be capable of replacing your laptop.